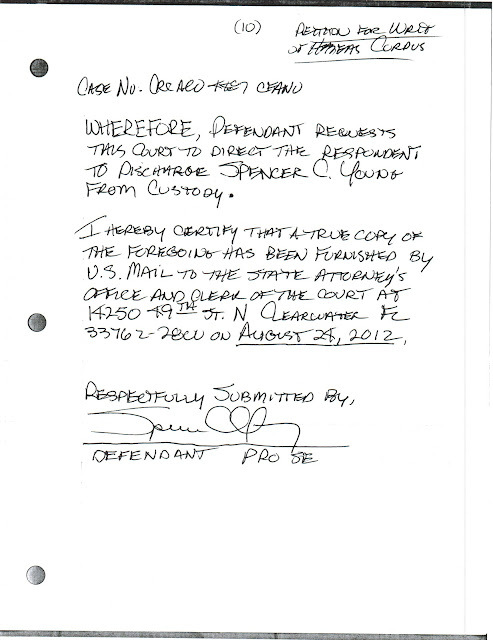 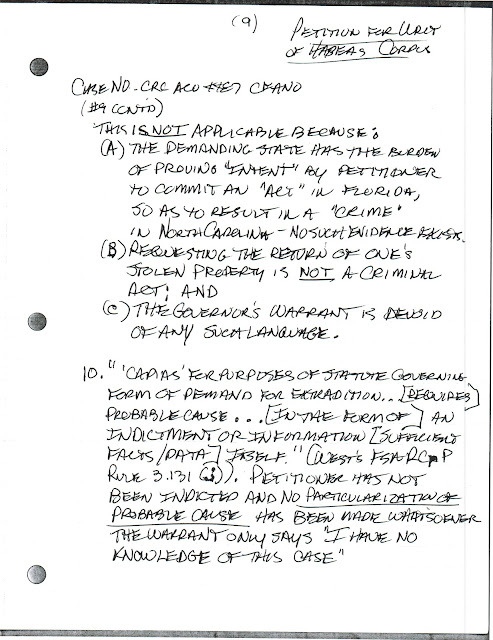 During the UNLAWFUL incarceration of Spencer C. Young on entirely FABRICATED charges that were made up OUT OF THIN AIR (and later dismissed as such) by corrupt Durham North Carolina District Attorney Leon Stanback in an diabolical effort to cover-up the multiple FELONIES of North Carolina Judge David Q. LaBarre and his girlfriend (Leah R. Krier), he was denied access to any computers and also UNLAWFULLY denied legal counsel. 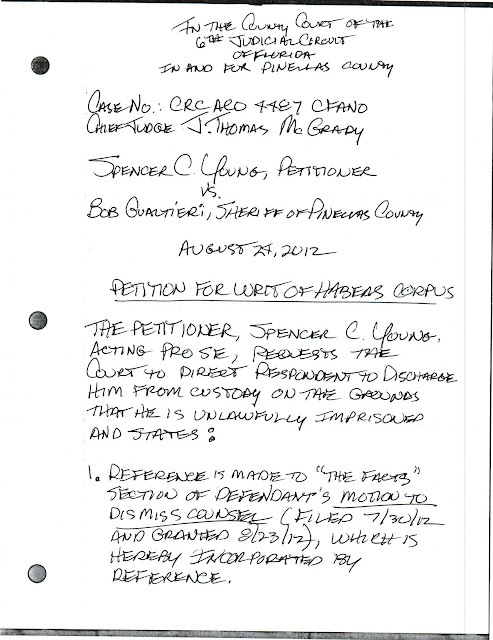 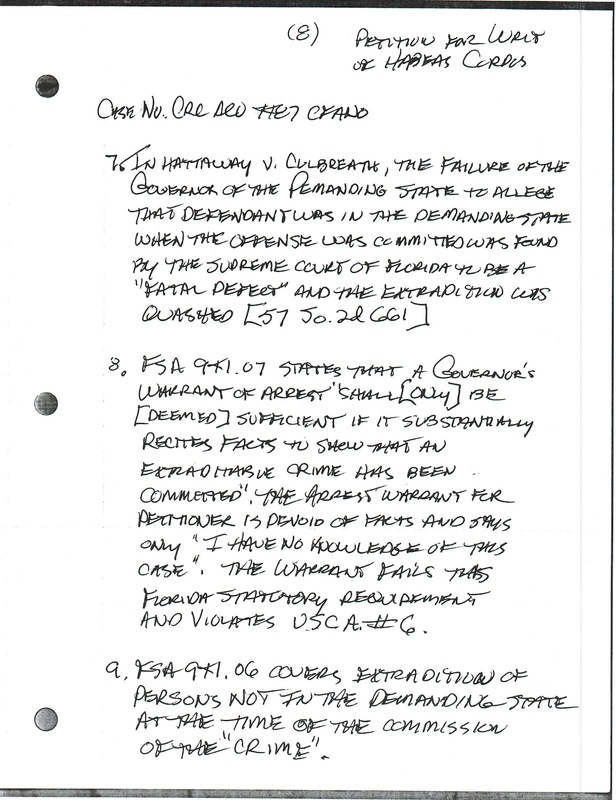 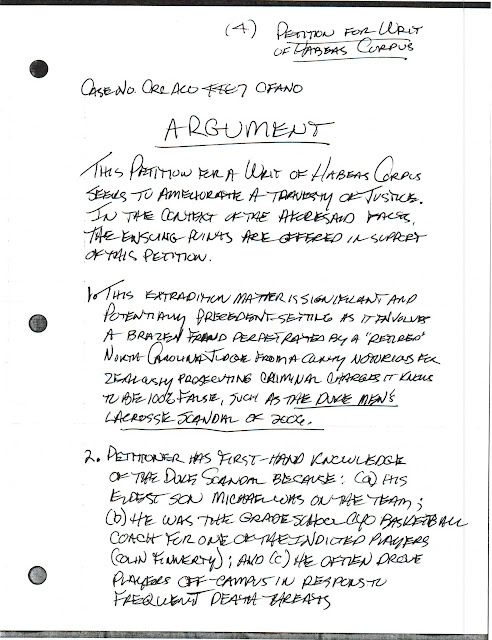 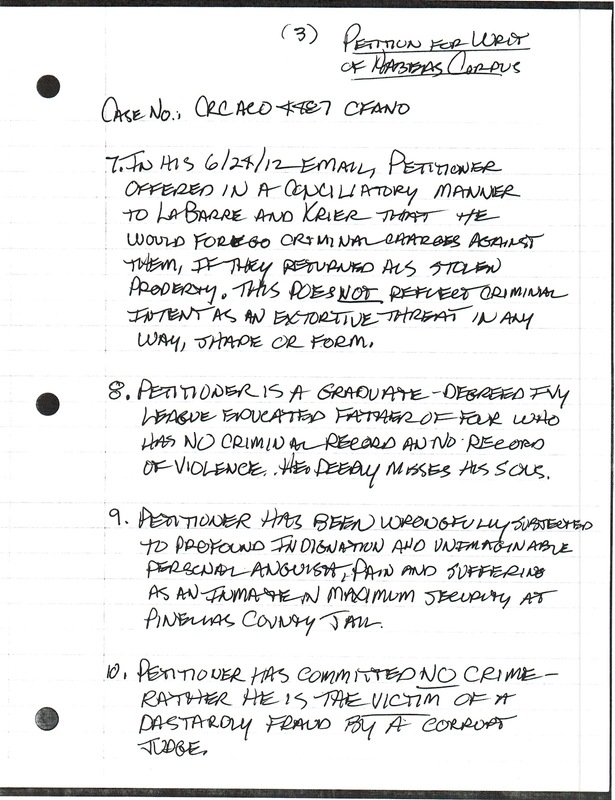 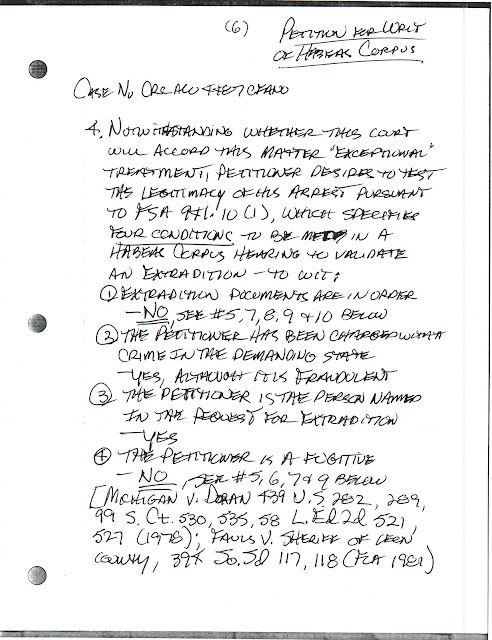 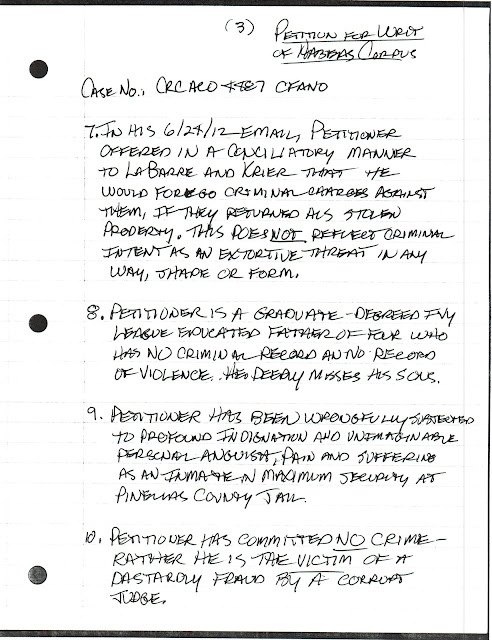 As a result, Mr. Young had to submit all motions to secure his RIGHTFUL FREEDOM in handwriting (as reflected below). 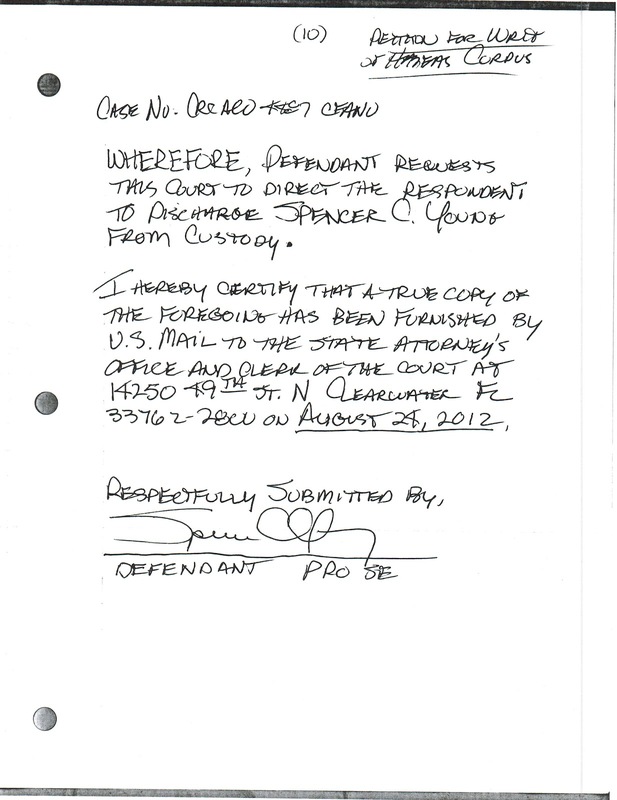 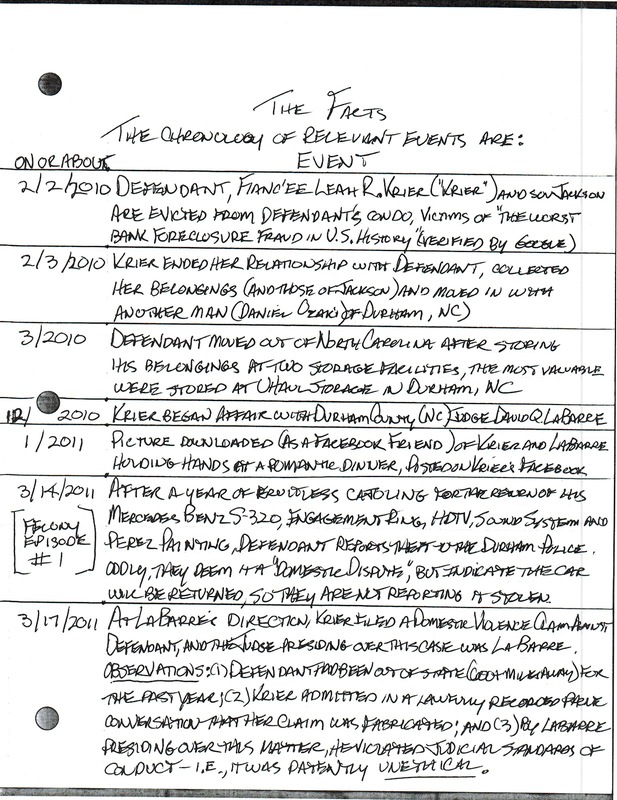 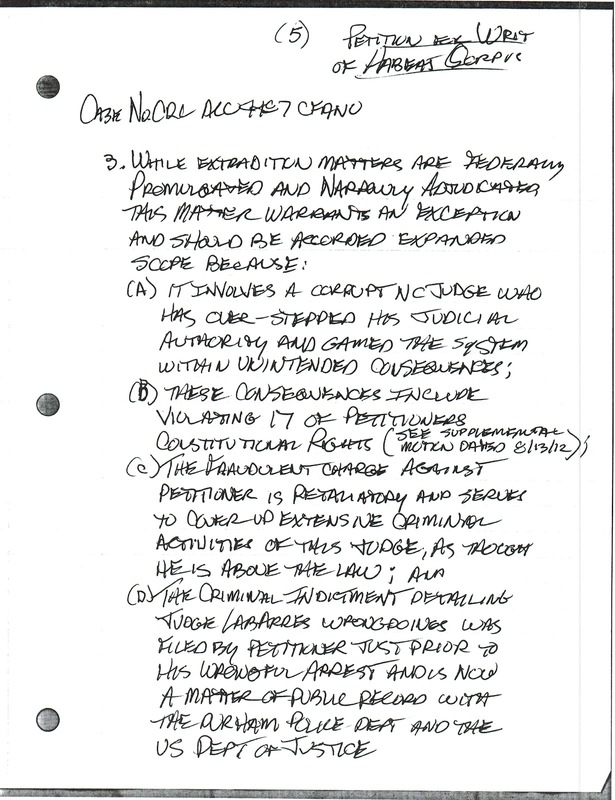 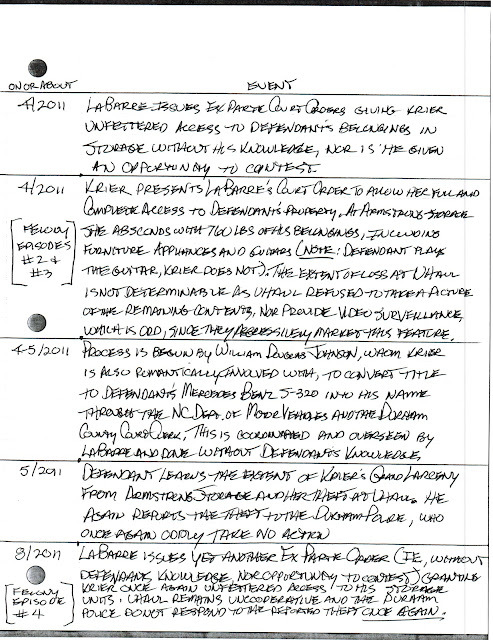 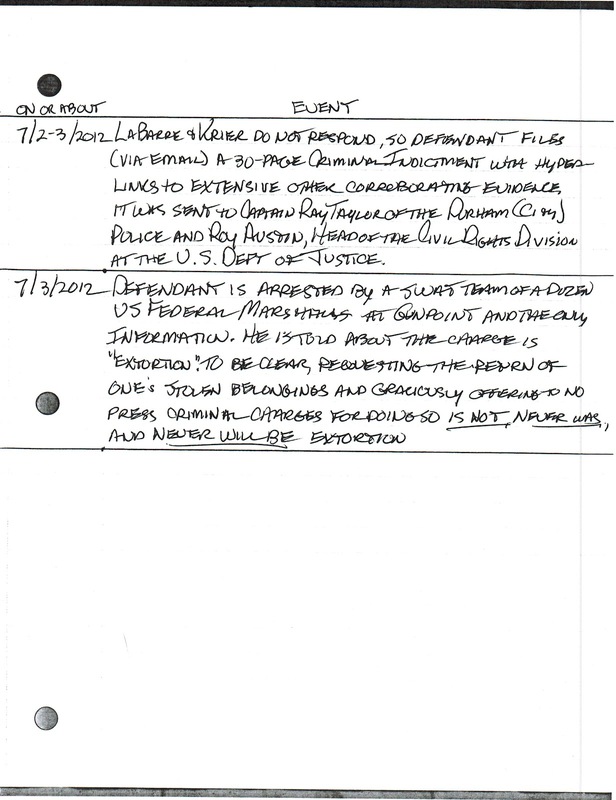 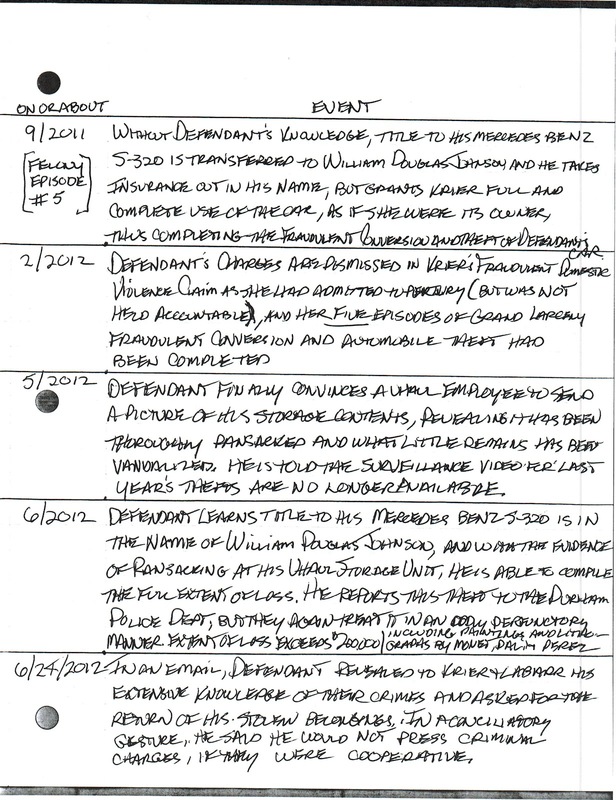 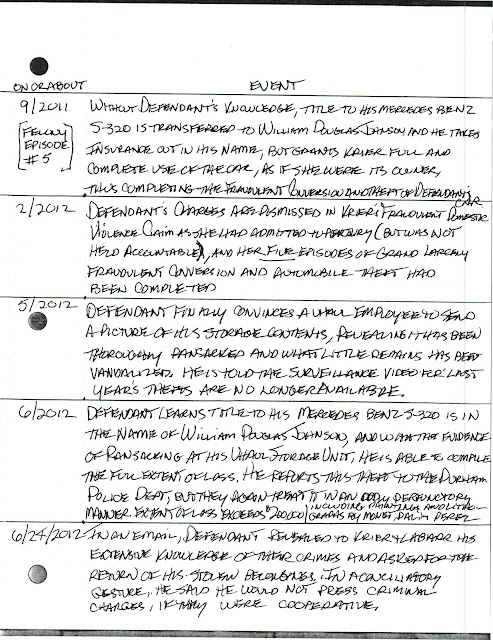 These documents were also duplicated in long hand (Mr. Young was also denied access to copiers) and secretly handed off to a private detective he had hired during visits, who would then upload to this website and mail out copies to a variety of others, as applicable, with the ultimate goal of gaining his rightful freedom. This motion for a "Writ of Habeas Corpus" should have been granted based on the overwhelming facts, circumstances and operative law. 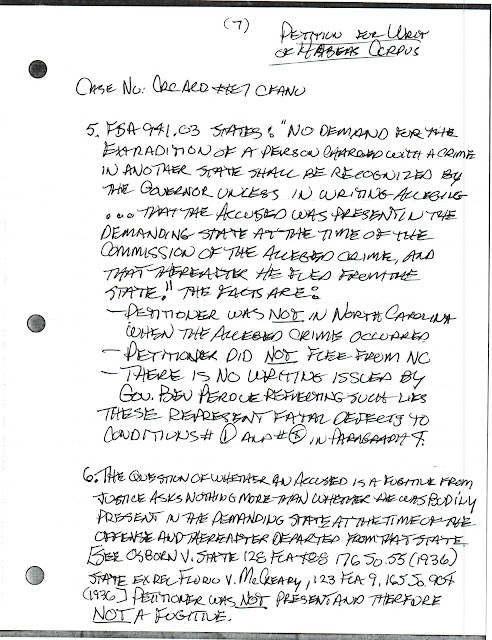 Yet this and ALL other motions were denied without explanation by the Chief Judge of the Sixth Judicial Circuit Court, J. Thomas McGrady. 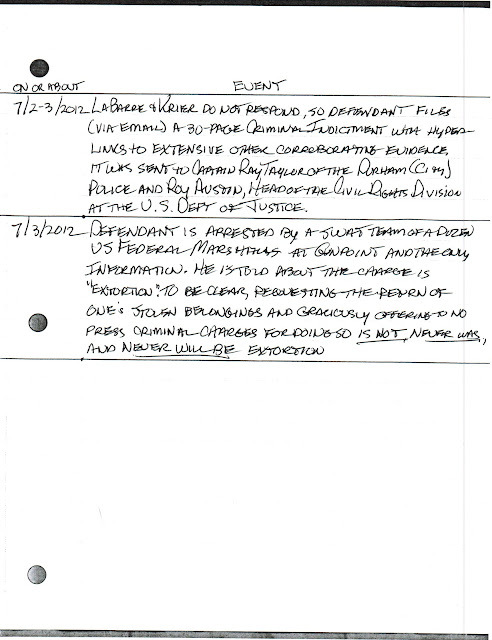 so Spencer C. Young would remain incarcerated in maximum security in Pinellas County Jail, while Sheriff Bob Gualtieri administered a sinister program of torture.